What Type of Heat Transfer Does a Wood-Burning Fire Use? A wood-burning fire utilizes the three types of heat transfer that exist in nature and are known to physics. These include convection, which is a transfer of heat through air currents. 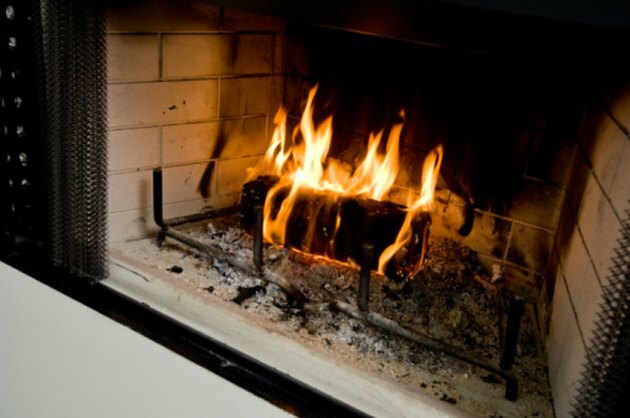 Conduction is a transfer of heat through solid objects such as the ground or the bricks in a fireplace wall. Radiation is the third form of common heat transfer, and can include radiation from the light of the fire and the oxidation of the fuel in the process of combustion. 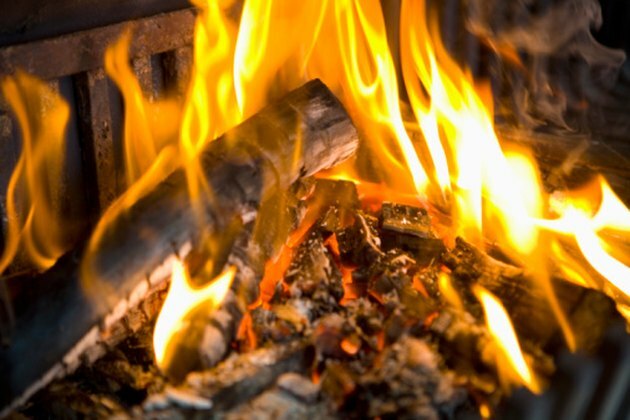 Wood burning fires transfer heat in the same way as many modern heating appliances. Fireplaces utilize natural air convection in much the same way as an outdoor campfire does to transfer heat. Convection is one of the most common ways to transfer heat from one object to another, both in nature and in man-made heating appliances. This is because it's an easy method to use and to control. The amount of heat transferred by convection in a wood fire is directly related to how fast the wind is blowing in an outdoor fire or the level of forced convection in a fireplace fire. 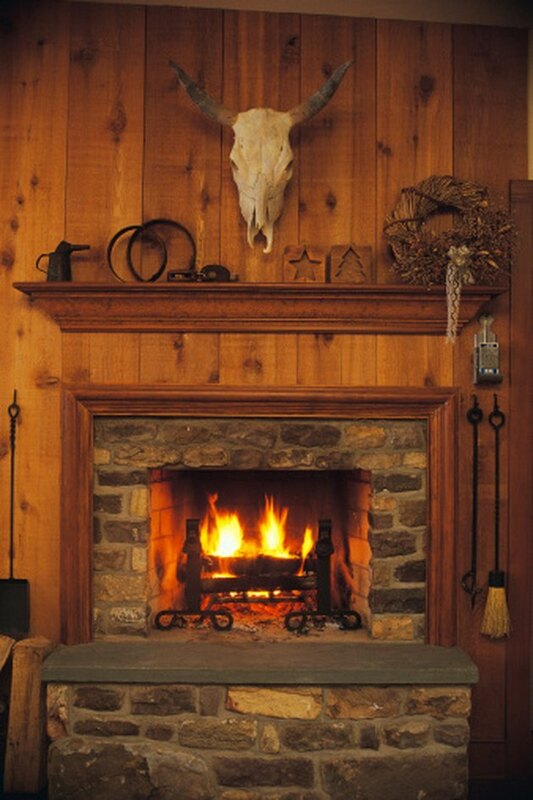 In a fireplace, heat moves from a wood burning fire into a room as cool air is pulled into the fire from floor level to fuel it. This forces the warm air out as it rises into the room's space and it increases the temperature. Conduction is a common, though often overlooked form of heat transfer from a wood fire. Conduction is a more efficient method of heat transfer, but also a slower one. The more dense a material, the more heat it can carry from one location to another. In a camping fire conduction serves to transfer heat through the ground from where the fire is located, spreading out in a gradual, spherical pattern. This often goes unnoticed by people who sit close to a fire, but as the ground warms, convection currents moving across it also transfer some of this heat from the solid surface to the air as well. In a fireplace, conduction is fairly obvious if you touch the outer brickwork of a fireplace and feel that fire has warmed it. 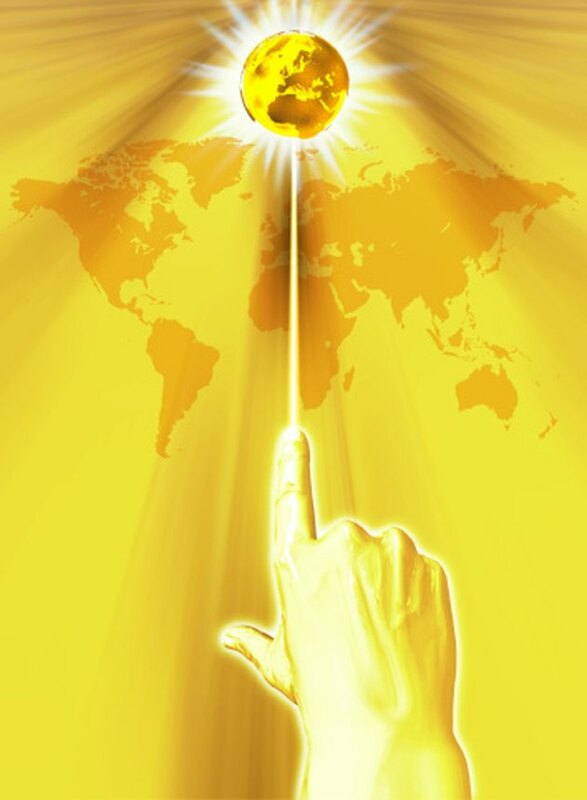 Light is a fast way for heat to be radiated by fires or other natural sources. A wood-burning fire also transfers heat through electromagnetic radiation. This includes both the visible light that the fire produces, and light of longer wavelengths such as the infrared range of light that the human eye cannot see. A fire radiates heat with light in much the same way that the sun does. 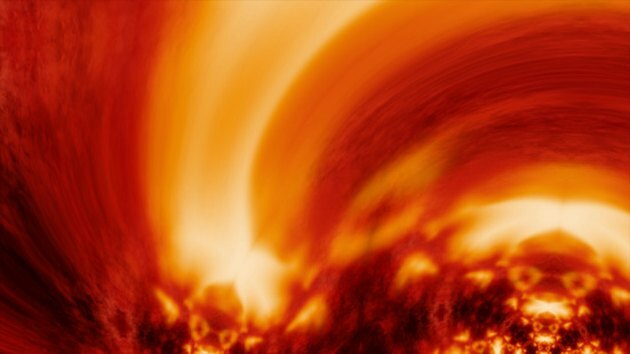 The process is also similar to the heat that the earth radiates back into space at night as it cools off, known as black body radiation, or heat radiation. Combustion breaks down complex molecules like wood into simpler ones like carbon dioxide, liberating heat energy in the process. The chemical reaction of the fire itself, known as combustion, is the primary method of heat transfer. Radiation does not require matter for heat to be transferred, such as with convection or conduction, but it does require a reaction of some sort. In the case of a wood- burning fire, this is a chemical reaction where the wood is rapidly oxidized, producing gases such as oxygen, carbon dioxide and steam. In the process of chemically breaking down the wood in the fire, energy is released into the environment in the form of heat and flames. What Does Oxygen Do to Fire?